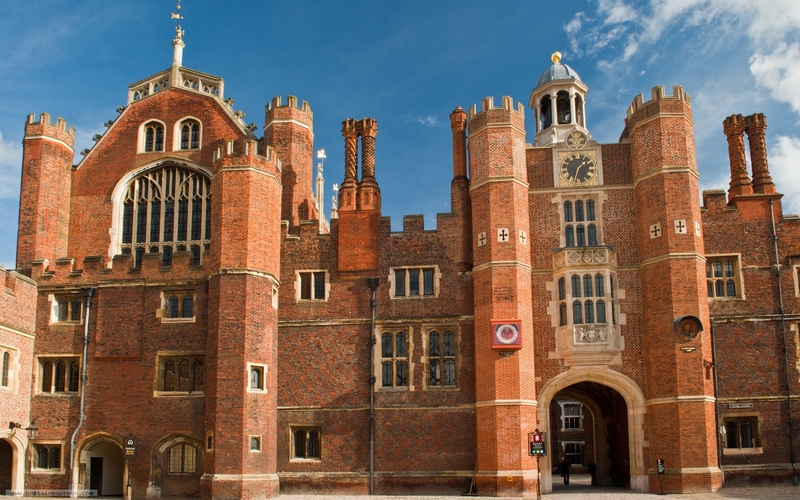 Hampton Court Palace is one of the most heavily visited historic attractions in the London area. For that reason I dragged my feet about taking a day out to visit, but my other half prevailed and we made a day trip of it. I had a great time - it helped that it was a Wednesday in February and the crowds were at a minimum! Here's a view of the Clock Court, with Henry VIII's Great Hall on the left.